Dr Mather joined Chadsfield Medical Practice in 2007. In addition to core services, she performs contraceptive fitting and removal, and minor surgery joint injections. Dr Mather qualified from Oxford Medical School in 1995. After a year training in New Zealand, she returned home to work as a junior doctor. She completed further training in Anaesthetics and as a Registrar before changing tack to spend time as an Expedition Medic in Mongolia. She completed her training in General Practice in Sheffield and after a stint as medic for the Himalayan Rescue Association in Nepal, she settled down to married life. Dr Mather’s main interest is the great outdoors, including running and cycling. She also enjoys reading as member of a local book club. Dr Gor joined the practice as a Partner in 2005. In addition to the usual GP services, she offers joint injections and minor surgical procedures such as removal of minor skin lesions. Dr Gor offers early appointments on a Thursday morning and later appointments on a Monday evening for patients who wish to attend at these times (because of work or care commitments). She enjoys time with her family especially drawing or cooking with her two daughters, listening to music and relaxing by doing yoga. Dr Rachel Kilroy joined the practice in 2008. She has a keen interest in dermatology, having completed hospital posts in this speciality, women’s health , sexual health and paediatrics and enjoys Manchester University medical student teaching. Dr Kilroy lives locally and enjoys her three children (and their activities), hiking, friends and travel. Her role at the practice involves teaching medical students. Areas of interest include respiratory medicine and chronic disease management. Dr Helen Flynn is a newly qualified GP. Trained as a Doctor at Sheffield University, qualifying in 2013. Many of our patients will already know Mrs Pierce , she has been with the practice since 2003 as an experienced senior Practice Nurse. 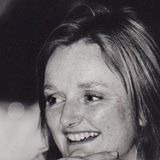 However, Cath has successfully completed her MSc in Advanced Practice in 2013 and has since then been employed within Chadsfield Medical Practice as an Advanced Practitioner. This means that she is now able to deal with many of the problems you would normally take to a doctor. Mrs Pierce is qualified to assess and examine patients, make a diagnosis and prescribe treatment. She can also make referrals to most hospital doctors or other health care professionals. She works closely with our GPs and liaises with them about patient care. On the day appointments are available with Mrs Pierce. Below is a list of the types of problems our ANPs can assess and treat. If you are still unsure please contact reception about the nature of your problem and they will be able to advise you as to which of our clinicians is the most appropriate for you to see. Our reception staff all understand the need for confidentiality and discretion as part of their role, for which they are fully trained. What can the AdvancedPractitioners help with? Mrs Roscoe, MSC Advanced Practice, qualified as an Advanced practitioner in 2010. She has expertise in, amongst others dementia, mental health, womens and childrens health. Mrs Roscoe can assess, diagnose, refer and prescribe, working closely with her GP Partners. Sr. Adshead is a very experienced qualified Registered Nurse, previously worked in areas such as Accident and Emergency and as a District Nursing. Sr. Adshead runs clinics for long term health conditions such as asthma, COPD, travel and diabetes. She can do vaccinations including baby vaccinations, smears, health checks, family planning, stop smoking and healthy living. When she isnt working she is busy looking after her family. Below is a list of what the HCA can do. Sarah worked in the NHS as a Midwife for 12 years before training and working as a Health Visitor for 7 years. This was followed by 7 years in the private sector working for a recruitment business. Outside of work she spends most of her time walking and running with her dog, or on the sides of a lacrosse pitch cheering on her 3 children. Hayley joined the practice in August 2002 as a receptionist, taking up the post as Reception Supervisor in December 2008. Hayley lives locally and is married with 3 school aged children, she enjoys spending her free time with her family, especially watching her boys playing football. Hayley is an animal lover, who loves long walks with her dog. We want Chadsfield Medical Practice to be a safe, calm and healthy environment for our patients and staff at all times. Our committed and dedicated staff are our most valuable asset. Verbal and physical abuse or harassment of them is totally unacceptable. We encourage staff and our patients and visitors to report all incidents of harassment and violence. Police assistance will always be requested when violent incidents occur and Chadsfield Medical Practice will support staff who wish to bring private prosecutions against the perpetrators of abuse or harassment. Nicky is available at the antenatal clinic on Mondays for help and advice during pregnancy. The District Nurses are based at Woodley Health Centre and work closely with our clinical staff when patients have been referred for continuing care in the community. Liz is attached to the Practice. She has special responsibilities to mothers and children, the elderly and bereaved. Liz liaises with the Doctors and assists the Practice Nurse at the Baby Immunisation and Vaccination Clinics as well as doing the Child Health Examinations. This line will be available 09:00 - 10:00 Monday to Friday. It will be on voicemail after 10:00. Your message will be picked up on the same day and someone will get back to you as soon as they can.